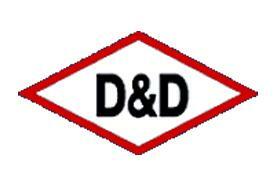 D&D Barry Pty Ltd were founded in January 1987 and initially worked from Thirlmere in NSW until moving to Narellan where they were based for twenty years. In August 2007 they moved to their current location at Smeaton Grange which is just a short distance to the south of Sydney. D&D Barry have been a distributor for Ganter Griff since 1992 and Elesa+Ganter since 2004. They have distributors in all States of Australia and also in New Zealand as shown in the Australian and New Zealand maps. The policy of D&D Barry is and always has been to do the very best we can to build up strong bonds and relationships with our Suppliers so as to provide the best service and pricing to you our valued customers. D&D Barry are extremely proud to be able to represent Elesa+Ganter.